Heliex Power named in prestigious 2013 Global Cleantech 100 listing and wins GP BullHound Connect 'One to Watch 2013' award. Heliex Power, a start-up company established in 2009 using technology developed at City's Centre for Positive Displacement Compressor Technology, has been recently awarded the GP BullHound Connect 2013 Green Tech 'One to Watch 2013' award. The company has also made the Global Cleantech 100 listing for 2013. Heliex is on course to be the world's leader in steam screw expanders and their applications in the recovery of energy from industrial processes such as waste steam. The core technology is a novel rotary screw expander which recovers low grade energy from steam and uses it to generate electricity. In some applications power can be generated where previously there was no economically viable opportunity to do so due to the temperature and wet steam conditions, for example from combustion engine and industrial process furnace exhaust gases. Heliex has the exclusive licence to use the University's patented technology world-wide in the field of steam. The GP BullHound Connect winners represent the most exciting companies pioneering energy-related technological change. 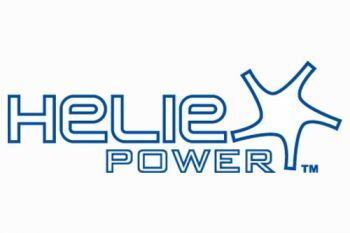 "Heliex Power's achievements are most encouraging, especially since its products are based on the work of City's Centre for Positive Displacement Compressor Technology. We aim to continue to provide industry with solutions that will further reduce the impact of energy usage on the environment and consequently contribute to the attainment of the challenging targets for CO2 emissions in the UK, targeted for 2020 and beyond." "It is very gratifying to see the excellence and impact of the research of City's Centre for Positive Displacement Compressor Technology being recognised. Heliex was spun out of the University to take the research to market and is now receiving excellent support from its investors, who, like us, recognise the huge potential to make a real difference."